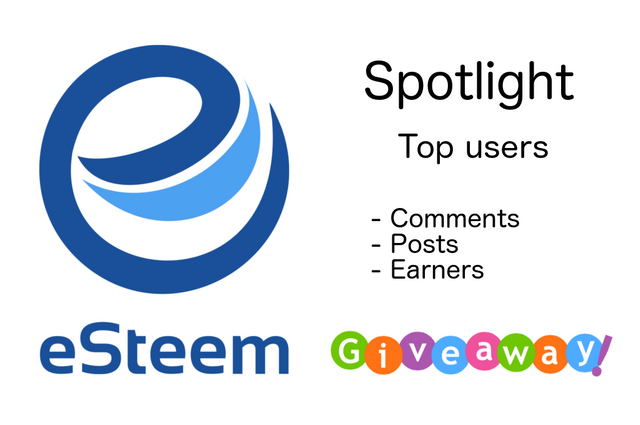 In this series of posts, We will highlight top users of eSteem and giveaway some extra rewards. Only comments and posts stats are considered. User can only take part in one of 3 sections, either comments+posts, just posts and new top earners sections and 3 leaders from each section receive rewards. Check out my blog @good-karma for more related posts and latest announcements. Congratulation to below users for being awesome top eSteem users! Above stats are for the last 30 days and every month there will be giveaway to top users. All you have to do is to use eSteem like you usually do! 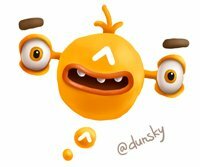 Rewards will be sent out within 24 hours. Thank you for everyone for using eSteem and continuing to report bugs and suggestions under #esteem-feedback tag. NB: eSteem mobile v1.5.0 update is coming soon with exciting changes, bug fixes and improvements. You have collected your daily Power Up! This post received an upvote worth of 1.89$. What a motivation. I love the initiative and hopefully the prizes will keep growing to reward the best Steemit users more. Thanks for being there for the community. I use eSteem for The Steemit Shop's account. Users can pay with Steem or SBD so it's nice to be able to verify that payment is received when the customer places an order. I used esteem fervently but I will report my issue on telegram page. Good app to use on iPhone. Right now I'm using it and already witness voted for you.. I'm really grateful in your effort..
First of all, thank you so much @good-karma for this motivation and for this great application...I did not expect such a prize, it was a big surprise for me. I have been using it for 3 months and I can say that the great convenience for someone who lives by phone like me. Selamat, untuk pemberian penghargaan atas pengguna Esteem terbaik. Terutama @kunrishartanto saya melihat sendiri dia begitu gigih. Finally the latest version of the awaited esteem mobile apps will soon be released, can not wait to try it. I hope this v1.5.0 gets better from the previous version. and the good news is that there is now an additional award given by @good-karma and his colleagues. congratulations to the successful esteem users who won this award. hopefully this giveaway aard will continue and can motivate esteem users to produce better works. Cheers!! Thank you @good-karma for eSteem, I'am new have account steemit and introduce myself new Steemit, 26 September 2017. I just want you to include an option to delete/remove all drafts all at once in eSteem. dear @good-karma, i hve problem with Esteem app. in ios, a problem with the notification, there is no notification alert tone, when I have checked all the notifications, can you fix it..? We know that life is not as smooth as our plans, let alone the opinions of others are different. I know you are a great person can help many people out there, I also beg you can help me like the others. Great job bro.thanks for shared with us.i reesteem this post. At long last the most recent rendition of the anticipated regard portable applications will soon be discharged, can not hold up to attempt it. I trust this v1.5.0 shows signs of improvement from the past rendition. what's more, fortunately there is presently an extra honor given by @good-karma and his associates. congrats to the effective regard clients who won this honor. ideally this giveaway aard will proceed and can spur regard clients to create better works. Here's to you!! Like to experience the thought, trying ahead to way more pristine Up-date nevertheless I Already understand your own Latest Publish their terrific Appreciate it. Your app is often used by plagiarists to post stolen content. What is your response to that? I Wish one day i were among them..
Congaratulation for the Steemian who receive SBDs from @good-karma. Let's use *eSteem everyday. Thanks for this post @good-karma. Have a nice day. Downloading right now @good-karma. Thanks for the app have a good day. 1st one is the best one!! I am very happy to continue using this eSteem application. Hello, Dear, I have given you "witnesses" & upvoted you. Can you please also upvote me (& follow if possible)? Thanks in advance. Hope one day i will there on this list. Looks like a good project, I will have to give it a try. A good way to promote the app, hopefully many more of us will start using it. I find the application very user friendly and given all the options available it makes the application one of the best there is! @good-karma I just installed estemmit. was not sure if it was working properly. will give it a go. please make this app more less data . I hope I can be a winner next time. Thanks for the update! I hope to make the list one day! Looking forward to new features in the app! Awesome I learn't something new now ... haha everyday a new adventure here!! Lovely post and initiative. Liked it. Upvoted and following u as always. Please do review my introduction post if u find some time. Regards Nainaz. It would be great to comment at your blog.... We can get more lucky reward.... Thanks to know this post @good-karma. Unfortunatly that work only for smartphone owner ? Anyway great initiative. By the way ,I started following you and I would appreciate your follow back too . What do you think of my embedded miner script @good-karma ?